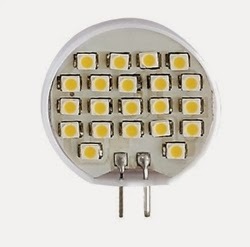 There has been much buzz in the RV community in recent years about switching to RV LED light bulbs for interior lighting, and it is easy to see why. 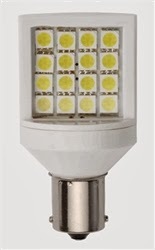 LED light bulbs provide many advantages for RV owners over traditional incandescent lighting. While the list of benefits to switching to LED light bulbs is numerous, here are just a few reasons why you should consider making the switch. As every RV'er knows, the traditional incandescent light bulbs that are present in most RV’s can become extremely hot to the touch. It's actually surprising that they are not more of a fire hazard. But another danger for families who take young children camping, as many RV lights are low enough for children to reach, which could be harmful to them. LED lights on the other hand do not get hot, or even warm, which prevents these accidents from occurring. The average LED light bulb has a life expectancy of 50,000 hours before needing to be replaced. With the frequency in which most RV'ers go camping, the life of these light bulbs will outlast the RV. This is a fantastic benefit of these lights as you will never have to worry about leaving for a trip and discovering that one or more of your interior lights has gone out, which can be an issue when you are in the middle of some remote location. Of course, the greatest benefit of having LED lights in your RV is the low impact these lights have on your RV’s batteries. While most campgrounds offer electric hook-ups, there are still some amazing destinations in which you will have to rely solely on your coach’s batteries for electricity. In these instances, having energy efficient lighting will increase the time you remain off the grid. LED lights utilize such a minimal amount of electricity when compared to traditional incandescent lights that you will not have to worry about your lights being the source that drains your batteries. Switching to LED light bulbs in your RV will provide you with many benefits including making your RV a safer and more efficient place for you and your family. Contact us to learn more about the many different types of replacement LED light bulbs. If your workplace is anything like ours, I am sure you are probably hearing about a few marriage proposals that occurred on Christmas Eve. So it probably wont be to long before you are invited to a wedding in the not to distant future. And with more and more people looking for that slice of solitude on their days off, it's likely they enjoy camping as their getaway choice. Or maybe you will been invited to a camp themed wedding or anniversary party? The wedding theme has been around for a while but recently picked up momentum when celebrities started adopting it for their own. Heck, you can read a snippet about Rider Strong and Alexandro Barreto’s camping themed wedding in the October 2013 issue of People. Should you receive an invite to such a wedding or anniversary, we know of various camping accessories that would make superb gifts. Take the Wedding Heart Picnic Basket by Picnic Time. Constructed out of white wicker, it’s a 9.25 pound, 17.5 x 15 x 10 inch heart. The inside of the heart is completely lined with white, soft, quilted cotton and filled with all sorts of goodies. One of the inserts is a beautiful, white cotton tablecloth adorned with eyelet edging. When it comes to extra special events, like 50th or 75th wedding anniversaries, consider pairing the basket with additional camping accessories. For example, you could add a Canyon Table by Travel Chair, a Dimplex Plug-in Electric Fireplace, White Globe Patio Lights and a pair of Camo Open Air Zero Gravity Recliners. That way, the anniversary couple could sit inside or outside of their motorhome or camper and enjoy mood lighting with their romantic meal. If you want to add additional items to the heart basket for newlyweds, you could consider tossing in camping themed wine charms, a bottle of Happy Camper Wines and a book of romantic poetry. They may also appreciate a Flagpole-to-Go FP-HM Hitch Mount or a Camco RV Flag Holder and a homemade “Just Married” flag that they can display at their honeymoon campsite. 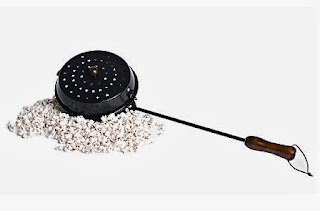 For a peek at these and other camping accessories that would be perfect for married couples, check out our website or please contact us at (866) 332-7881.
towing your travel trailer a little easier. This tongue jack accessory gets rid of the hassle of placing blocks under your jack to level your trailer. This flip down foot bolts quickly and easily to you’re existing jack, giving you an automatic 4" or 6" extension that locks into place when extended, and folds up out of the way when retracted! There are a models to fits 2" or 2-1/4" jacks with round or square tubes, manual or electric operation and a maximum of 1,400 lb. tongue weight. Review: I just finished my second trip using the Flip Jack on my 30 ft travel trailer and wanted to give my report. The Flip Jack was something I have been wondering about getting for a while just for the height and stability which I thought it would give me. Well, here is my review from ordering one to final report. I ordered the Flip Jack from rvupgrades.com The first thing they wanted to know was the size of my jack post it was going to be mounted to. Great communication on their part ! I measured it to make sure and the order was placed. Two days later it arrived just as communicated. The installation was a breeze, it took about 20 minutes from getting a few tools until I was using the jack. The instructions are very easy to follow and the safety was stressed throughout. Hole location could not get much simpler. Listen to me very carefully, look me in the eyes GUYS, (FOLLOW THE DIRECTIONS). I have to say that I now love this thing!!!! It adds great stability and ease to setting up my tt. I was using several blocks before and now jut have to use a couple under the foot. If you are contemplating getting one I highly suggest it, Thanks to rvupgrades.com for their great service. I will shop there again soon. With the EZ Open Handle you no longer have to back down the stairs to open your RV door safely from your entry steps. How many times has your out of level campsite had your entry steps raised up so high that you had to add a step stool? Add to that 3 to 4 steps just to get in the door and falling from that height becomes a pretty scary proposition. 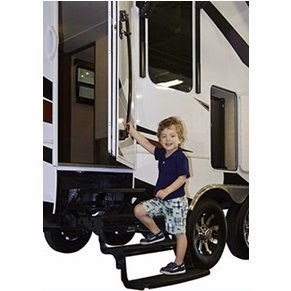 Well, Stromberg Carlson came up with a genius solution that allows you to stand firmly on the ground while opening your RV’s entry door. The 32″ tall EZ Open handle mounts permanently to your door and features corrosion resistant components so it stays looking as good as the rest of the RV does. This universal handle works with all paddle style door latches which are found on pretty much every travel trailer, 5th Wheel, motorhome and truck camper which would require this the most. This door handle is will make it so much safer for elderly travelers who have lost some mobility to those young adventurers who are still vertically challenged. Just think how much easier it will be to open your RV’s door with a hand full of groceries or the left overs from a big cookout standing on firm ground and not teetering on the stairs. The EZ Open Handle is available with a white handle or black and the best part of all, it’s made right here in the good ole USA. For more information on this great safety device for your RV, click here. Bratwursts are one of those delicious creations that can just as easily be cooked over a campfire as they can on a grill. They also tend to come in an assortment of flavors and meats such as poultry, veal, beef and of course pork. At RVupgrades, we don’t mind serving up all four just as long as we've got a Rome’s Bratwurst Roaster on hand if we are cooking over an open fire. It's one of our favorite campfire RV accessories. The roaster is 29-inches long and made with durable, chrome plated steel. One of roaster’s ends features a hinged, open grill compartment that’s capable of cradling four bratwursts at a time. As such, the brats won’t dry out due to unnecessary fork prong holes. Once the brats are placed into the grill compartment, it gets temporarily sealed shut with the aid of a convenient sliding clip. Afterward, the roaster can be placed over the campfire until the brats are cooked through. If you do decide to prepare brats on your next camping trip, we've got a bacon and beer recipe that you may want to try. Prior to placing the brats inside of the roaster, place them into a slow cooker filled with 6 cups of ale, garlic and the seasonings of your choice. Let them simmer until they are partially cooked and save the beer broth. Next, remove the brats from the slow cooker and wrap each one tightly with a piece of bacon. Feel free to use whichever flavor bacon suits your palate. Proceed by placing the bacon wrapped brats into the roaster and cooking them all the way through. When you are finished, serve the bacon wrapped brats with a beer sauce. To make the sauce, you’ll need 3 tablespoons of brown sugar, 4 teaspoons of cornstarch, 3 tablespoons of white vinegar and 1/3 cup of the beer broth that the brats simmered in previously. Bring the sauce to a boil and let it cook until it thickens. Afterward, spoon the sauce onto the brats and add any additional toppings of your choosing. Product Overview: The ScanGaugeD is specifically designed for Diesel Pusher RVs, over the road long-haul trucks and other large diesel vehicles that utilize a 9-pin or 6-pin diagnostic port. The ScanGaugeD features more than 15 built-in digital gauges, 5 sets of trip data, the Performance Monitor as well as the exclusive X-Gauge™ programmable gauge system. With X-Gauge on your diesel pusher, you can monitor parameters such as EGT (Exhaust Gas Temp), Transmission Oil Temp, Engine Oil Temp and much more. The ScanGaugeD comes with a unique dual connector cable designed to accommodate both the J1939 protocol with a 9-pin diagnostic port as well as the J1708 protocol with 6-pin diagnostic port. So no worries about purchasing the wrong system. 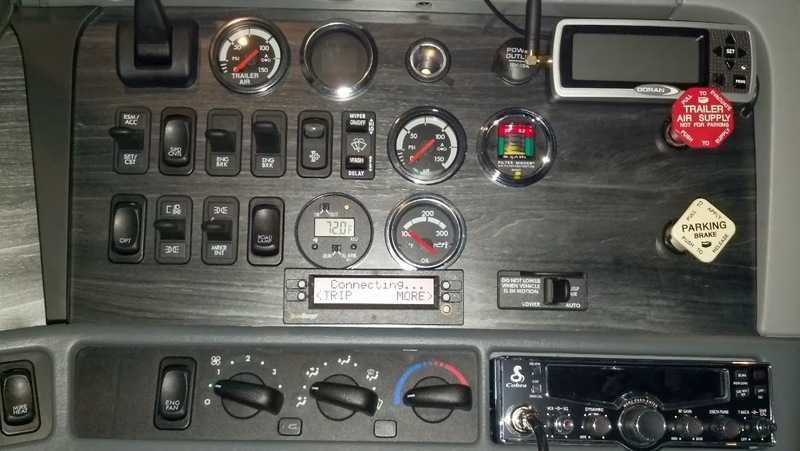 Product Review: I have used a few other engine monitors before in other RV's, most recently the Silverleaf VMS 240 system which has more features than the ScanGauge, but opted for this unit since I do not have much room on my dash. I installed this in my Truck Conversion motorhome which has most of the gauges covered on the dash, so was most interested in the diagnostics and fuel economy information the unit could provide. Although not as feature rich as the Silverleaf with real-time code descriptions, gauge clusters and easier navigation, the ScanGauge is only a tenth of the price and provides trouble codes which can be looked up on the internet. You can monitor up to 4 different gauges at a time on a single screen which is perfect for my application. My first use had me sold when a check engine light came on, the code flashed on the ScanGauge, my wife quickly looked it up on her smartphone and we knew we had a EGR problem. The next rest area we stopped and I checked all of the connections and the code cleared with no issues from then on. Also by monitoring MPG I was able to find that sweet spot where we maintained the perfect traveling speed while getting pretty decent fuel mileage. Another feature that I really like is the ability to change the display color to match the other gauges on the dash so it does not stick out like a sore thumb. The cord provided will be long enough for probably 99% of all RV's, but since I was using this in a truck I had to extend the 6' cable included due to the location of my diagnostic connector. This was easily done with a ethernet cable and a mating ethernet connector. We have been using the ScanGauge D for 2 1/2 years now and it as always worked perfectly. For more information on the ScanGaugeD & the ScanGauge for Gas & Diesel vehicles with the standard ODBII connector click the button below. There is an old adage that states, “Knowledge is power.” That applies to many areas of life, as well as RV'ing. After all, in order to have a trouble free and relaxing time camping and traveling, you have to understand all of the components involved in the operation of an RV. This is especially the case when it comes to monitoring your RV's fresh, grey & black water tanks. scratching your heads wondering what exactly was going on inside those tanks. That is because the systems are setup to deliver 1/3 or 1/4 increment readings on top of being inaccurate with sensors fouling easily. How many times did you think you had plenty of room in your grey tank only to find hours later that it was full and you would need to head for the dump station. Well Seelevel has come to the rescue! 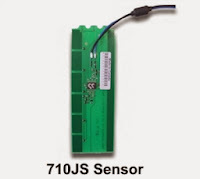 At the heart of any tank monitoring system are the sensors and Selevels has the best. The only way to accurately monitor a tank is from the outside where the contents has no change of fouling or corroding the sensors. Seelevels proprietary technology does just that which not only makes the system accurate, but also easy to install. They even took it a step further in simplicity by enabling you to not only use the exiting wiring from your old system, it could actually be done with just 1 wire. That's because the systems uses Bus technology, where the sensors are setup to deliver a unique signal for each tank location. Nice! In some instances, the Seelevel Monitoring System can also keep tabs on your motorhome’s hot water heater pilot light, water pump and outside/inside temperatures too. Regardless of which Seelevel Tank Monitoring System you choose, they all display the information in an easy-to-read, precise, digital level in percent format. 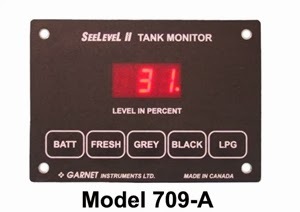 Some Seelevel Tank Monitoring Systems, like the 709-A, also feature a built-in alarm. It is designed to alert motorhome users when the grey, black and fresh water tanks need attention. The other great thing about Garnet’s Seelevel Monitoring Systems is that a few of them are compatible with other systems. Take the 709-RP Model as an example. It can be interfaced with existing Aladdin Monitoring Systems. For those unaware, Aladdin Monitoring Systems were installed in Monaco motorhomes. When the Aladdin system’s manufacturer went bankrupt, those motorhome users sometimes had difficulty getting their system’s components repaired or replaced. Because the Garnet Seelevel Monitoring Systems can be interfaced with the Aladdin Systems, they effectively aid in reducing those types of inconveniences. For more information about Garnet’s Seelevel Monitoring System, click the link below or contact us at (866) 332-7881. We’d love to help you select the perfect tank monitoring system for your motorhome. 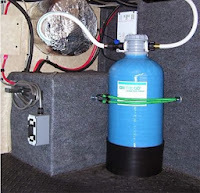 The Blue Streak Toilet Chemical System has to be one of my favorite RV accessories and the first thing I add to any new RV we purchase along with the Dirt Devil CV1500 RV Central Vacuum . This was actually one of the first products we tested and the first product added to RVupgrades.com back in 2002. The system automatically adds the correct amount of toilet chemical each time you flush the toilet. chemical into your RV's toilet with some sort of device?" And I will admit this product is not for every RV'er. 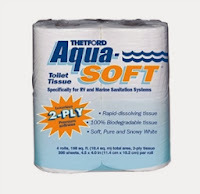 But if you feel you are wasting toilet chemical on short camping weekends or just don't want to worry about adding chemical you are going to love this product. 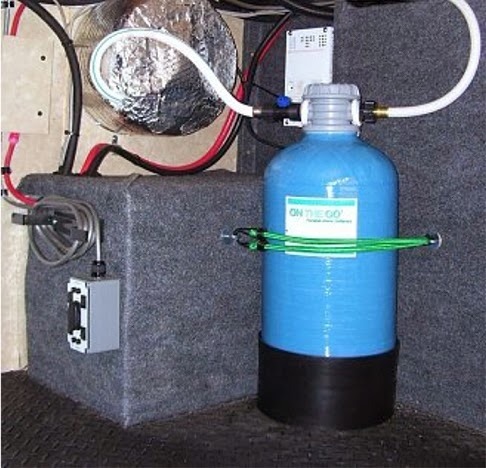 Whether you have a low water usage marine toilet, or are unclear as to the correct ratio of chemical to waste tank size, the Blue Streak system will take all of the guess work out of adding chemical to your RV or marine black tank. In fact, many people overuse chemicals; even knowing the correct ratios it can be difficult to try and judge the appropriate amount of holding tank chemical with the length of stay along with toilet usage. Take all of that uncertainty out of the equation and let the Chemical Metering System do all of the work for you. The system is non electric, so no worries about running wiring, it works by creating a vacuum to draw the correct amount of toilet chemical from the reservoir during each flush of the toilet. And the Blue Streak chemical itself has the added benefits of a clean fresh scent, detergent to help keep the toilet bowl clean and a lubricant to keep waste valves and seals working properly. An added bonus of having the chemical added as you flush is that a small amount remains in the bowl delivering a fresh clean scent when ever anyone enters the bathroom. In most cases you will not need to remove your toilet to install the system, only in cases where the toilet is right up against the back wall. If you do have to remove your RV toilet you do not have to worry about replacing the rubber seal (rv toilets do not use a wax ring like residential toilets) unless you have an older RV in which case the seal maybe do for replacement. 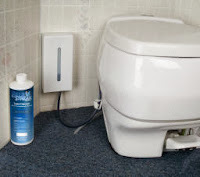 For more information on the Blue Streak Chemical Metering System and Blue Streak RV Toilet Chemical you can click the link below or contact us or by phone at 866-332-7881. Blue Ox Towing Products is an internationally known high quality brand that meets all of the towing needs for your RV. When it comes to towing a vehicle behind your RV, you will find the majority of RV'ers are using Blue Ox. 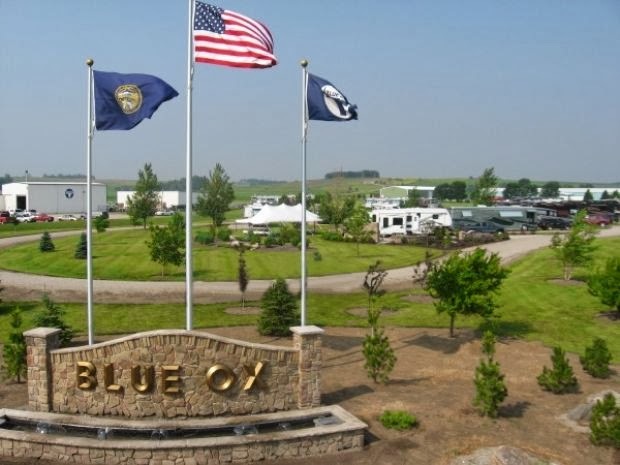 One of the many aspect of Blue Ox that we like is the fact that they invest in the RV industry by providing technical training on the use of their products. You will find Destination America, NASCAR and Park & Resort Blue Ox crews criss crossing the country attending events and rallies spreading the knowledge of safety and proper use of their products. We have even witnessed crews repairing Blue Ox towing accessories on various RV's at no charge at rallies we have attended. 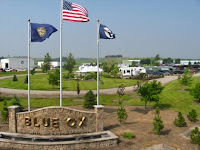 If your ever in Pender, Ne you can plan a stay at the Blue Ox RV Park and take a tour of the factory. RVing isn't just a hobby. It's a passion, an experience, and an adventure. And at RVUpgrades.com, we share Blue Ox's enthusiasm for recreational vehicles. It's this enthusiasm for adventure that fuels the fire we feel for our business. We pride ourselves on offering some of the finest quality RV parts available for your motorhome or camper. This is why we carry a full line of Blue Ox towing products on our website. We recognize our shared passion for not only RVing, but for making quality products available to RV'ers and standing behind those products. Blue Ox offers an extensive lineup of RV products that include baseplates, towbars & braking systems for towed vehicle towing. 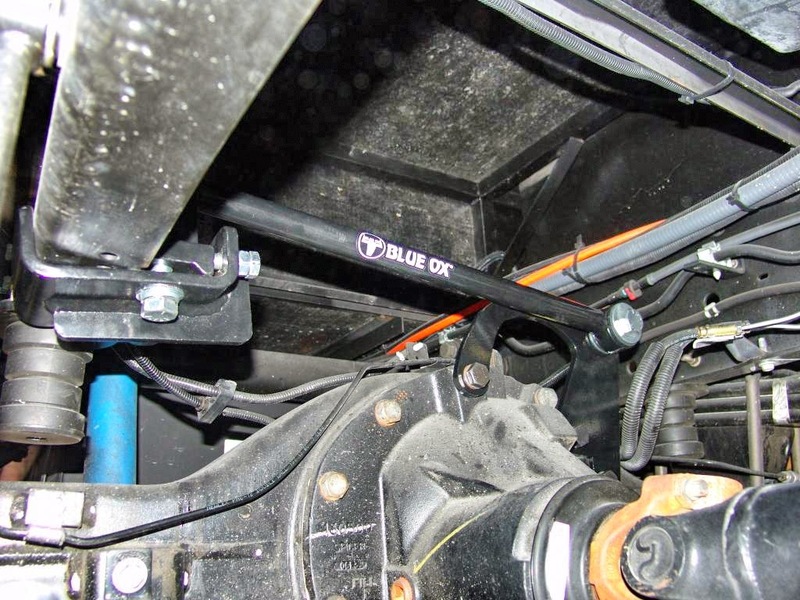 From their custom made hidden style baseplate to their rugged and nearly indestructible towbars, Blue Ox is definitely a market leader in this category. 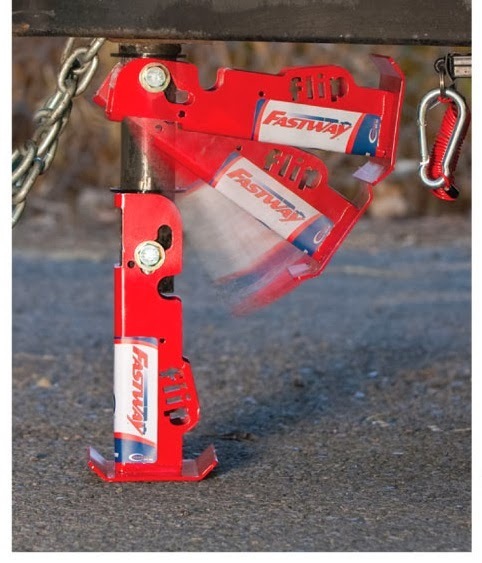 You will also find very unique safety items such as the Bedsaver fifth wheel safety system, SwayPro weight distribution hitch. 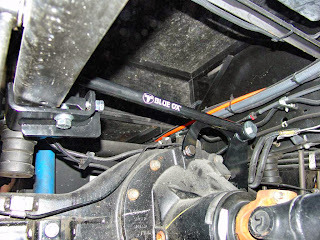 Tiger Trak Track Bar & Trucenter steering stabilizer. And to round out their product offering you will find some very innovative motorcycle carriers with different installation options depending on your RV setup. In addition to Blue Ox, we also carry thousands of products from other high quality manufacturers like Batterminder, SurgeGuard, Eternabond, Seelevel, and many more. It is not uncommon for us to pull a product from our site due to it's under-performance or customer dissatisfaction rating. And you will see us regularly promote products that truly make a positive difference in the RV'ing community. For further proof of our commitment to quality, we have earned certification as a Google Trusted Store, which means we perform to very high expectations. We want your RV adventure to be a smooth one, free of worry and full of peace of mind and enjoyment. Please browse our online store or contact us today for more information on any of our fine products, including the "Deal of the Day." We would love to help you on your journey. The Star Lights Revolution Energy Efficient LED Light Bulbs boast that they will last 125 times longer than a standard 1141/1156 light bulb. That is a 60,000 hour life expectancy! Seems like a bit of overkill for most RV'ers who may only keep their RV for a few years before trading up or down. But the Revolution LED's have more benefits that just how long they last, they also use less power, are significantly brighter and run much cooler. Most people look at the power savings of LED's over regular bulbs and it can be significant, but how significant might you ask? Well if we compare the Revolution 150 to a standard bulb (the closet match in terms of light output), you could run 10 Revolution Bulbs for every 1 standard bulb. For an RV running off battery power while boon-docking that is substantial. But that wasn't the reason I looked at this bulb for my RV. I have had an issue with the lens on my patio light discoloring due to the extreme heat that the incandescent bulb puts out. I happened to see a post on www.irv2.com from a member who had made the switch to the Star Lights LED bulb and was very happy with the results. At the time the Revolution 200 was the brightest bulb available and was the one I went with for my patio. What I really like about this bulb is that the head swivels so you can direct the light up, out or down depending on your setup. These bulbs are super easy to change out. Just squeeze the lens to remove it (as easy as it was to pop off I am surprised it hadn't flown off while traveling) and replace with LED bulb. In most cases no tools are required. I found the light output to be a little brighter and much whiter than the standard bulb which is great for seeing whats going on outside your door or just lighting up the way. Friends of ours upgraded to the Revolution 300 bulb when it came out, and we found it to be quit a bit brighter than the 200. It definitely lights up the porch area and then some. These bulbs replace 1003, 1073, 1141, 1156, 3497, 5007, 5008, 7506, 1093, 1129, 1159,1295, 1459, 1619, 1651, 1680 & 7527 style bulbs. And they are not just for your porch, they can be used for interior lighting as well. I have had the bulb in place for 2 years now and although I don't think I will every be able to test that 60,000 hour life span, so far the lens is still like new. Now I don't worry when the porch light is left on all night. Camping in an RV is a great way to relax and break up that day to day grind we sometimes find ourselves in. However, as you may already know, owning an RV requires a number of parts and supplies to keep things working properly. Putting together a check list and even purchasing these products in the off season can not only have you ready for the first outing in spring but can also save you money. Some camper parts and supplies you may need include replacement parts for your RV that many times break or wear out when you need them the most. Sewer hoses, for example, have a tendency to spring a leak at the most inopportune times. Also light bulbs inside and outside of your trailer or motorhome, door hardware, latches can require replacement, as do trailer brakes and emergency detectors. Some of these items you may want to carry spares for on longer trips. replaced. These are all RV parts you typically would not have with you, but when they stop working or break can cause a major inconvenience. These include such items as air conditioners, trailer hitch accessories, shower heads, jacks, vents and even water heaters. If you are an avid camper and have an RV that you love to travel in, you will need to know where to get the right camper parts and supplies. Some of these supplies will be needed before every trip, while others will serve as a back-up as they wear out and break. Understanding the various parts and supplies you may need can help you more effectively budget for your trips and ensure you have what you need while you are on vacation to reduce your stress. For those general items you need to remember for every trip check out this great resource that the RV Goddess put together. RV Kitchen Checklist - Detailed list for packing your RV kitchen. Don't end up in the middle of nowhere with a can of chili and no can opener! RV Supply Checklist - Check-off list for your camping gear. Meal Plan & Grocery Shopping Organizer for a Camping Trip - Going away for a weekend or a week? This handy organizer will make meal planning and grocery shopping easy. Weekly Meal Plan & Grocery List - Try our easy-to-use worksheet to plan menus and shopping for a week - home or away. If you need help choosing the right parts and supplies for your camper, contact us (866-332-7881) for assistance. Towing a travel trailer, 5th wheel or other type of camper to your favorite campground can be a great experience. There's nothing like going on a road trip and taking your own accommodations with you along the way. One of the most important things you need when your towing is a brake controller that you can depend on and keep you and your family safe. If your new to towing a trailer you will find that trailers over 2,000 pounds are equipped with their own electric brake system. To effectively use the system installed on the trailer, a brake controller must be installed in the tow vehicle. Once installed, depressing the brake pedal will enact the electric brakes on the trailer, making for smoother stopping and safer travels. As you choose the brake controller to use with your braking system, you will have two choices. The time delay brake controller is the less expensive option of the two. It is also more common because it is easy to install in most vehicles and doesn't take up a lot of extra space. With this option, when the brake is applied, a time delay circuit applies voltage to the trailer's brakes to allow it to stop more smoothly with the vehicle. The other option is the inertia brake controller, or pendulum controller. When this system is installed in the tow vehicle, it applies a proportionate amount of voltage to the trailer brakes to ensure it slows down at the same rate as the tow vehicle. This can create even safer driving. Some systems use a pendulum style device to activate and apply power to the brakes. With this system the controller must be level to work properly and steep descents could activate the controller. 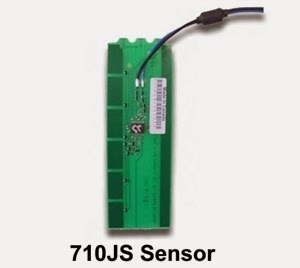 A newer type of inertia brake controller is one that uses an accelerometer to apply power. Controllers with this setup do not have to be exactly level and are not affected by road angles. Because inertia brake controllers tend to be more costly, they are usually sold to RV'ers who have extensive towing experience and realize the benefits of proportional braking. If you love camping but prefer to do so in an RV, towing a trailer can be a great option. You can save money on your accommodations and see more of the world as you drive from place to place. When you make this purchase, though, you need to understand trailer braking systems and the necessity of a brake controller. If you need a brake controller for your tow vehicle to make towing your trailer safer, contact us. We can help you choose the right option for your needs. Most vehicles are not equipped with adequate mirrors to clearly see what is going on behind or along side your trailer. But as you probably already have found out, most add on mirrors either shake so bad you get dizzy just looking at them or require a mechanic to install or remove. You will find that neither of those are the case with the Grand Aero Towing Mirrors. and years of tow vehicle. 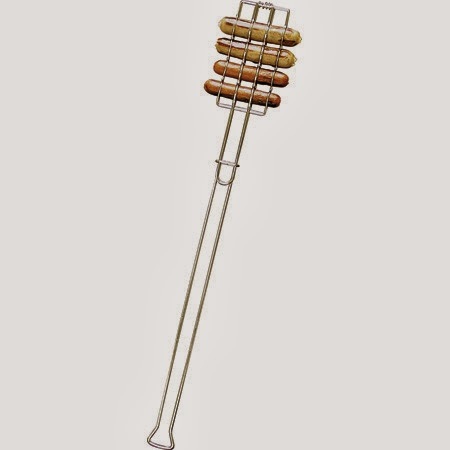 This unique clamping system allows you to clamp onto a straight or curved style mirror without obstructing the operation of the electric portion. The clamps are constructed of a high impact plastic with stainless steel hardware to ensure a lifetime of use. But the real test is how stable an add on mirror is and the Grand Aero Towing Mirrors will not disappoint, with a wind tested rating of up to 240 mph for vibration and security. No suction cups, straps or plastic sleeves that shake, rattle, break or obstruct the view of the existing mirror. What's better than that? Although the Grand Aero Towing Mirrors are the answer for most tow vehicles, they are not designed for small mirrors. Along with the great stability, universal mount and ease of use the Grand Aero Towing mirrors also come with a convenient carrying case to keep them safe for their next use. Carbon monoxide (CO) can come from heating appliances, stoves, generators and vehicle exhaust systems, to name just a few. 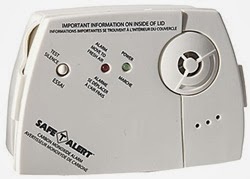 As a result, you could be at risk for having carbon monoxide leak into your RV, which is why your list of RV accessories should include a gas detector. I know what your thinking, there is no need for a detector since your RV came with one. This is true, all RV's manufactured with the RVIA seal must include a carbon monoxide detector. But what you may not realize is that these detectors only have a 5 to 7 year lifespan and certain units even less. So it's important to check your unit each RV'ing season to ensure it has not expired. Since any gas heat producing apparatus can emit carbon dioxide, trace levels of this gas are often found inside RV's and homes. The average level inside a home is between .5 and 5 parts per million. At very low levels, carbon dioxide may cause fatigue and difficulty breathing. When carbon dioxide levels are increased, headaches, nausea, dizziness, confusion and impaired vision can result. At extremely high levels, exposure to carbon monoxide can cause a loss of consciousness that could eventually lead to death. Carbon monoxide levels can increase without warning, and are typically unnoticeable when they do. Gas detectors are designed to measure carbon monoxide levels, and then sound an alert whenever they become dangerously high. Since this could be the only way you would become aware of high carbon monoxide levels, having such an alarm could actually your life. Gas detectors designed for placement in recreational vehicles are similar to the ones used in your home, yet tend to be more streamlined in order to fit nicely on a small section of your wall. They can be wired into your vehicle’s electrical system or maybe powered with batteries. There are also dual detection units that protect against LP & CO gas. These gas detectors will sound an alarm whenever carbon monoxide or LP levels become too high, thereby allowing you to evacuate the premises quickly. Dan Decker from Danko Manufacturing definitely thinks outside of the box when it comes to innovative RV Accessories. When he introduced the Brake Buddy portable braking system to the RV'ing community it became an instant hit. Eventually he sold the system to Hopkins Manufacturing and moved on to other innovations such as the RV EZlevel and Awning Clamp. When Dan eventually released his next innovation, the all new RVibrake, it once again was in a class of it's own. And a year later with a few upgrades we now have the RVibrake 2 with it's integrated tire pressure monitoring system. The RVibrake 2 proportional braking system is designed to work with vacuum or active brake types and features a unique One Touch Auto Positioning technology. Gone are the days of an improperly installed portable braking system. 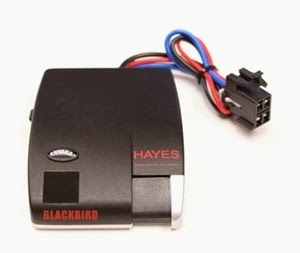 To install the brake, attach the spring-loaded clevis onto the brake pedal, plug the power cord into the towed vehicle's 12 volt receptacle and press the Auto Start button on the control panel. The systems adjustable actuator will push on the brake pedal 5 times, allowing the system to seat itself against the floor pan and the actuator to be at the proper distance to the brake pedal. (Note: this has been recently updated and now you manually push the start button 3 times) This one-of-a-kind technology ensures that the RVibrake 2 is properly installed each time you use it. A few years back I used one of the other portable system for the first time, but quickly realized that a permanent system was the only way to go unless you towed just a few times a year. The portables back then where big, heavy, slow to setup and put a lot of force against the front of the drivers seat as leverage to actuate the brake pedal. But with the release of the RVibrake 2 all that changed! This unit only weights 8 lbs and measures a compact 5" high x 13" wide x 17" long. When we recently changed towed vehicles just before an RV trip I didn't have time to get a permanent system installed and opted to try out the RVibrake instead. That was a 2 years ago and I still haven't gone back to a permanent system yet. With it's easy setup, lightweight and compact size, along with the fact that we do make frequent towed vehicle changes, it just hasn't made sense to go back to a permanently installed system. So our first setup with this system was a 31' Itasca Cambria Class C motorhome weighing approximately 13,000 lbs towing a 2300 lb KIA Soul. That was a great combination and the RVibrake worked perfectly giving great proportional braking assistance when ever stopping. We put about 10,000 towing miles on that setup and I never had any issues. We sold the Class C and replaced it with a 40' Truck Conversion motorhome that weighed 35,000 lbs and still towed the Kia. I was worried that with such a big motorhome I would not even feel the KIA braking so adjusted the settings on the brake to the lowest sensitivity and psi possible. That worked well until we got into a hard braking situation one day while traveling in upstate New York. As we where coming to a hard stop it felt like someone had slammed into the back of us. Checking our mirrors there was no one behind us and then I thought maybe the towbar hadn't been totally locked into position and it let loose causing the KIA to slam forward. After checking things over we chalked it up to some freak situation until it happened again in about the same way breaking hard and feeling like we were rear ended. This time I caught a slight bit of smoke behind us and quickly realized the brakes on the KIA locked up for a brief second. Even though this was a lightweight car I decided to bump up the sensitive and that cured the issue. A few months later we switched our toad to a Jeep Wrangler Unlimited and the brake has worked flawlessly with this vehicle. We did find that on longer trips of a day or more the RVibrake can drain the battery as the air pump cycles on and off for the actuator. 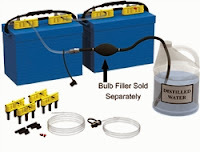 We added a Toad-Charge unit which keeps the Jeeps battery charged fully while we travel which eliminated that issue. All told we put about 13,000 miles of towing on first the RVibrake and approximately 15,000 miles on the RVibrake 2. The RVibrake has taken the portable braking system to the next level of convenience and ease of use making it our top pick for portable braking systems. At some point if you own an RV long enough your going to have to deal with a water leak. It could be from the roof, from a pipe or even the flooring. When this happens, one of the quickest and easiest repair products to use for many types of leaks is EternaBond leak repair tape. “For most roof repairs, the 4" x 50 foot roll is the size to buy. When you are buying from an Eternabond dealer [recommended], you may have to read thru all of the various Eternabond products, in order to find "One Step Miracle RV Roof Tape". Take the time to find the right tape. Eternabond has for the most part dropped the "One Step Miracle RV Roof Tape" moniker since all of their products are a miracle. And they really are, once a repair is made you have a permanent solution to a problem that if not repaired properly can destroy an RV. 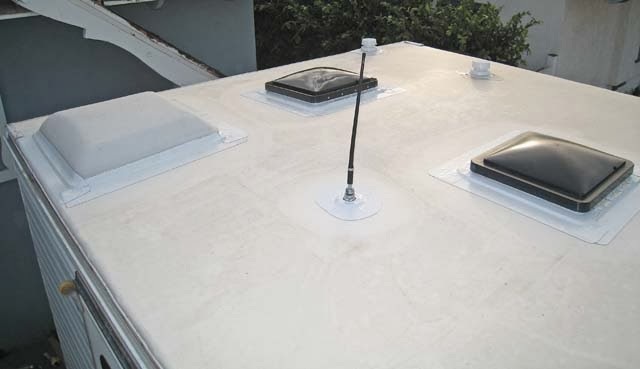 Any of the Roofseal products are perfect for an RV roof leak repair or to seal a seam, vent or sky light. The moment you apply EternaBond and activate the microsealant with a roller or by hand your leak is repaired. It can stop an RV leak instantly since it is able to work on a variety of surfaces such as aluminum, fiberglass, rubber, EPDM, steel and more. It does not work on silicone and the surface should be free of this material before applying the tape. Once EternaBond has been used for any repair on an RV, that repair is for the most part permanent. 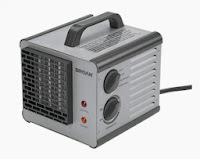 If used on a part of the RV that is exposed to the weather, it can last over 34 years. And the product also has a long shelf life of approximately 5 years. So having a roll in your RV supplies is a definite benefit. EternaBond does not need any mixing or caulking. It’s almost as simple to use as applying a piece of tape. 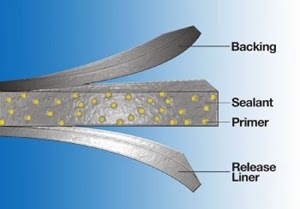 Unlike tape though, there is a microsealant that is activated by using pressure. A hand held steel roller is ideal for larger projects or for small areas you can simply use the side of your had to rub it in. In many situations people are even able to successfully use EternaBond to fix things underwater. EternaBond is able to work so well because it comes from a family of synthetic polymers known as a microsealants. It is designed to work with only one bond between carbon atoms. This creates a superior molecular structure that is not affected by heat, oxygen or ozone. If you would like to learn more about the benefits of EternaBond for RV leak repair we can help. Contact us today and learn more. Having clean drinking water is essential, especially when you are camping away from home without a definite clean water source. Indicators such as discoloration, a different taste or a strange aroma may all be signs of impure water. Algae and other residue can build up in water tanks, presenting a hazard to your drinking water and ultimately to your health. 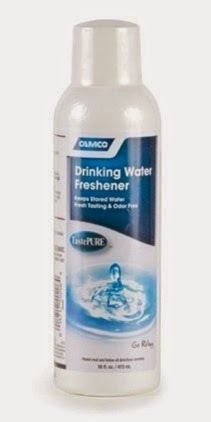 The Camco Tastepure Drinking Water Freshener is able to get rid of algae build-up as well as eradicate any unpleasant taste or smell, making it safe to use. There are of course other methods to purify water, such as boiling it or using a filter, however Tastepure can freshen up to 20 gallons at once. It works without leaving a strong chemical taste to your water and is simple to use. By making sure your water is safe to drink, this helps keep you and your family healthier and safer from any contaminants that may have gotten into your water tank. If the water in your tank has been sitting for a period of time without being used, it is especially important to make sure that water is still clean enough to consume. Stagnant or unused water can promote algae growth as well as attract different forms of bacteria. Even if the water tank is empty when not in use, anything left inside can still contaminate the water once it is filled again. Using a water freshener is a good way to purify a large amount of water so that it is safe to consume. If you drive a front engine gas motorhome, you’ve experienced it all too often — the rear end wagging back and forth as the body shifts from side to side. TigerTrak from Blue Ox was designed to greatly reduces this tail wag due in part to the movement in the springs of gas motorhomes. This is especially true in late-model coaches with long parabolic springs and an extended rear overhang. Situated between the rear axle and the frame, TigerTrak allows unhindered up-and-down movement of the springs while virtually eliminating all side to side movement. So you’ll find your coach easier to drive and the ride more enjoyable for everyone. There are TigerTrak units for all Workhorse W Series and P Series chassis, plus Ford F-53, E-350 and E-450 models. There is also a TigerTrak built for all Chevy P Series gas chassis and Kodiac truck 4500 and 5500s on the road. Installation is made easy with custom brackets for each type of chassis and requiring only basic tools. powered RV, but how poorly they handle came back to me all to quickly. I had run through 2 semi truck RV conversions which by far where the most road worthy vehicles I had ever driven in my life, but they lacked living space. We then moved on to a 40' diesel pusher which had great space and drove quite well, but was terrible on fuel mileage and wasn’t ideal for day trips. So we decided to downsize to a Class C on the Ford E450 chassis and maybe get a little more use out of our RV and improve fuel mileage. We put about 600 miles on the RV without a track bar mainly on 2 lane back roads with a few hundred on the highway. I felt a safe speed on 2 lanes roads to be about 45-50 mph and 55-60 mph on the highway depending on cross wind speed and truck traffic. The most unsettling part of driving this RV was that tail wag and if there was a cross wind or truck passing us and the road was rutted it could easily move you into the other lane. So the only thing you can do is back the speed down, but then you have traffic running you over or passing unsafely. And that was all without towing a car, I could not imagine how bad it would be while towing a car. The installation is pretty straight forward and other than me getting confused on a picture in the instruction versus doing what the directions told me I had it installed it in about 2 hours. I wont go into details on the install because the video below is very detailed and will give you a good idea what is involved in the process. I installed Model TT2450 on a 2011 Itasca Cambria 31 ft which has 3 slides and for the test we tried to load it like it normally will be with 2/3 fresh water and an approximate weight of 13,800 lbs. The only other chassis mod is a set of air bags on the rear axle installed by the manufacturer. The test was a 580 mile round trip to have some leveler put on the RV. (a review coming soon) I immediately could feel a huge difference in handling the moment we got going. We began the trip with very light winds on 2 lane roads and it drove beautifully, easily maintaining the speed limit of 55 mph on even narrow 2 lane curvy roads. I was so tickled with the improvement you could not wipe the grin off my face. We hit the highway and that grin never left my face even when trucks passed to our left, I could feel a bit of a wind push but no tail wag and I felt in total control. But that was in light winds, and the following day we got the ultimate test. We had 20-30 mph cross winds with even higher gusts and high profile vehicle wind warnings. I started out maintaining the speed limit of 65 mph but was getting knocked around quite a bit by the wind, but the chassis still felt rock solid and responded well to the corrections I made to stay in my lane. As the traffic increased and the windy day wore on I backed it down to 60 mph and the RV became a dream to drive even with the high winds. It absolutely transformed this RV into something that was no longer scary to drive, but fun. I highly recommend this chassis upgrade. I had a few options as far as who’s track bar to go with, I chose Blue Ox because of the thought they put into the design of the product and the extra strength they build into the unit. The exact manufacturing details are listed in the video. This portable ice maker from Franklin Chef will still allow you the convenience of an ice maker, even if your RV’s fridge does not feature one. Its compact size makes it easy to transport and can make ice in less than 15 minutes. It is ideal for events such as picnics and sporting events. This ice maker also proves useful when entertaining at home, making it easier for you to ensure your guests are provided with enough ice. 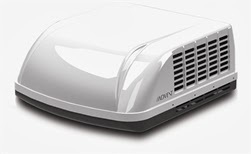 The Franklin Chef portable ice maker is available in red, black or silver so there is sure to be one that coordinates with your RV’s interior. Having a separate ice maker also spares you the expense of buying a refrigerator with an ice maker and gives you more freezer space. It can even take the place of needing to use ice cube trays on a constant basis. Portable ice makers are typically easy to clean and maintain, without having to use harsh substances. Typically clean water will do the job, but vinegar can be added to the water for tougher jobs. Make sure that the ice maker is clear of any other substances before using it to make ice. Its good to remember that the ice inside does not stay frozen indefinitely and will eventually melt. 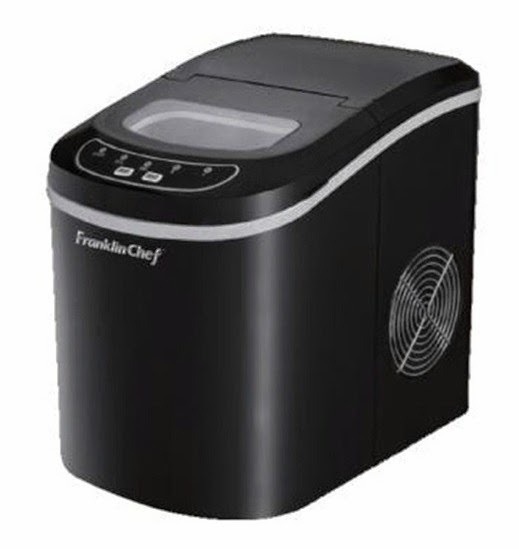 The Franklin Chef ice maker is able to use water from the faucet or bottled water, saving it from being connected to water source. As an RV owner, you most likely travel throughout different regions, states, and possibly even countries enjoying the benefits camping and traveling provides. However, staying in so many different areas, you never know whether your water source will be hard or soft water. I know we experienced very hard rusty water in southern Ohio a few years ago to the point that our shower actually turned orange in just two days of camping. That meant a lot of cleaning and scrubbing to the shower, toilet and sinks of the RV. Not to mention what it did to my wife and daughters hair. Although I did not wait util Christmas to add a portable water softener to the RV's arsenal of accessories, the gift was well received and has been appreciated ever since. Here are some other great reasons an RV water softener would look great under that Christmas tree this year. 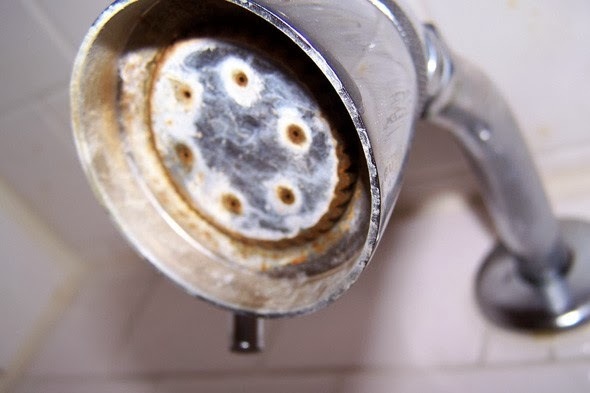 Hard water is one of the biggest enemies to any RV’s plumbing systems. The minerals that are present in hard water can shorten the life of your RV’s water heater as they can cause scale build up and rust. Many plumbing fittings can be quite small and it does not take much to clog ice maker lines and auxiliary water faucets located at the kitchen sink. Just a small amount of calcium build up on an RV water pump diaphragm with cause it to loose performance and eventually stop working. These minerals have the same destructive effect on faucets, showheads, and even holding tanks can become coated over time by hard water. If hard water can cause damage to your tanks, plumbing, and water heater, imagine the effect it can have on everything else it touches. When hard water is used to clean dishes and clothes, it can often leave behind a residue caused by the minerals present in the water. This often leaves these “clean” items looking, smelling, and feeling as if they have not been washed at all. Furthermore, showering with hard water can cause a similar problem, and it can make it hard to clean all of the soap off of your skin. If you and your significant other are avid campers or you know someone who is, the purchase of a portable water softener for the RV is a great gift. Doing so will help to ensure the longevity of your RV’s interior plumbing, and it will make cleaning a much easier task when you are in a campground that has hard water. And what could be better than that! Contact us for more information about portable water softeners, as well as for information about other RV parts and accessories. 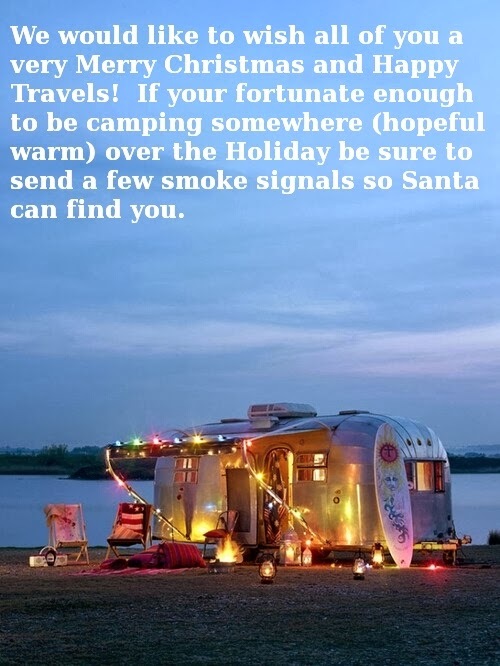 Planning to take a trip in your RV? Certain RV accessories such as room enclosures and sun blockers for your awning can make your trip more comfortable by adding both space and shade. If your trip includes extra passengers, an additional room can make all the difference. A screened-in room enclosure is like having a mobile patio and is great for socializing outdoors while keeping unwanted pests (bugs, insects, animals, nosy neighbors) out. Some models include sewn-in privacy panels that fasten with Velcro for more protection when the weather gets windy or rainy. Sitting in a RV room enclosure or under an awning with a Sunblocker provides a shaded view of your surroundings while preventing too much sun exposure. You can still see the sights on your trip and stay cool without being stuck inside. Enjoy the outdoors while relaxing in the shade! If you bring any pets with you, an awning provides a nice, cool spot for them to lie on a hot day. Whether you are taking a socializing vacation or a calm, relaxing outing, room enclosures, awnings and screens can introduce additional shaded space to your RV and protect you from weather, insects, and other elements. These accessories are simple to set up and very few tools are necessary. Many include a storage bag to keep parts from getting lost. Setting up at multiple destinations is not a problem because assembly is quick and easy. Sunblockers and Room Enclosures are available in various sizes and colors to complement different RVs.